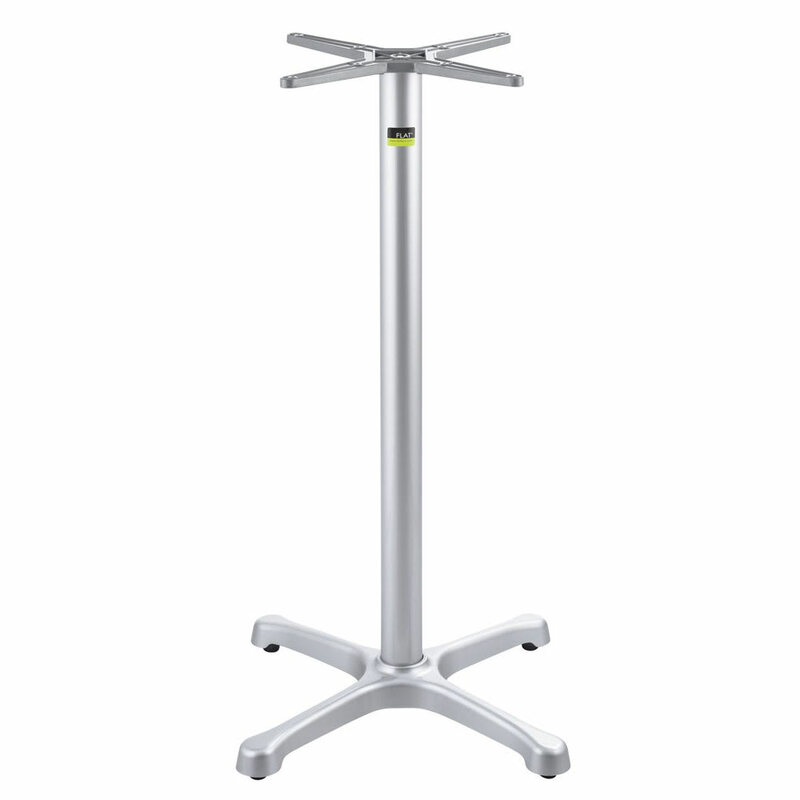 The Flat Tech CT1026 table base is compatible with 30-inch round and 26-inch square tabletops. 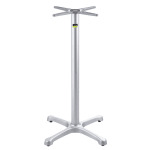 The 40.75-inch height is designed to be used in bar areas. 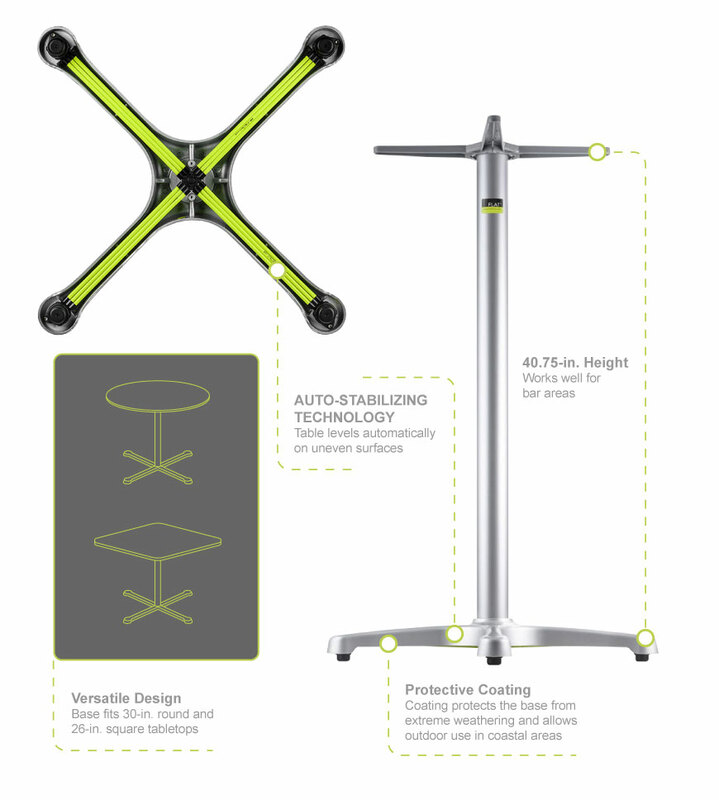 Stabilizing technology is seamlessly integrated the construction of the base to provide balance on uneven surfaces and prevent wobbling. It is portable with its lightweight design; the base is great for establishments that use tables indoors and out or rearrange their tables often or cater to various group sizes. There is an extra protective coating to keep the Flat Tech Ct1026 table base safe from outdoor elements.